There is no doubt that electrical safety is one of the fundamental elements in assessing the quality of jobs. According to ESAW methodology, an accident at work is defined as a discrete occurrence in the course of work which leads to physical or mental harm. Occupational accidents are common and numerous in the modern society. And, as electricity is an essential factor of modern economies, its use at work is inevitable. Electricity is a serious workplace hazard as it has enough power to cause death, so even the simplest electrical system can become dangerous. Electricity can be defined as the flow of electrons through a conductor. Resistance is the tendency of a material to oppose the flow of charge. The current will flow through the easiest possible path (minimum energy principle), which means, as conductor’s resistance increases, the current ability to cross it decreases. Based on their electrical behavior, the materials are subdivided into conductors and insulators. The conductors are those materials that allow electric current to flow. On the other hand, materials that prevent the passage of current are insulators. In the electric field, the overload occurs when the system is crossed by a certain quantity of electrons, which is actually higher of its capacity. This is why, in an electrical circuit, cables need to be sized in order to guarantee a specific flow rate. Any electric current that exceeds the rating of the circuit leads to an overcurrent. Electricity is recognized as a serious workplace hazard and failure to comply with the specific regulations can be of fatal consequences. According to Health & Safety Executive, there are four main types of electrical injuries: Electric shock, Electrical burns, Loss of muscle control, Thermal burns. However, the electricity has enough power to cause death by electrocution. The Occupational Safety & Health Administration (OSHA) notes that most electrical accidents are caused by one of these factors: unsafe equipment or installation, unsafe environment or unsafe work practices. 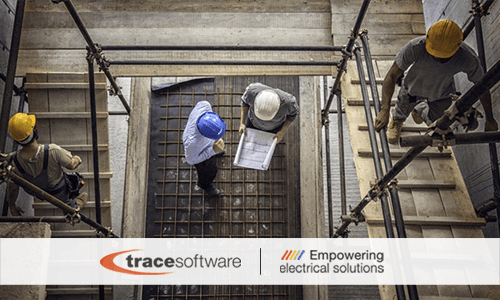 Trace Software International has been empowering electrical solutions since 1987. This is why the company promotes safe work with electricity and electrical systems. The proper sizing of cabling is the most important design feature for the reliability, consistency, and safety of the system. 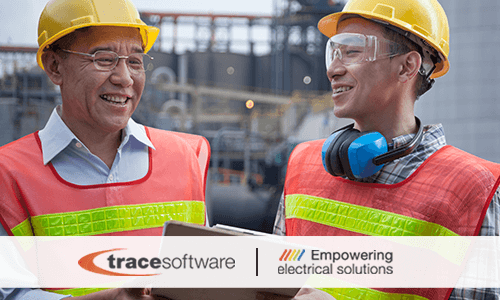 elec calc ™ is the CAE software solution dedicated to the sizing of electrical installations, the only one in the world that allows integrating the management of high and low voltage in the same project and in compliance with international standards. In a more and more demanding market, characterized by ultra-competitiveness, the latest software version guarantees excellent results in terms of safety, time and productivity, including flawless installation. It is easy to get started. You can now learn more about this state-of-the-art software solution and download a free trial version: FREE TRIAL. 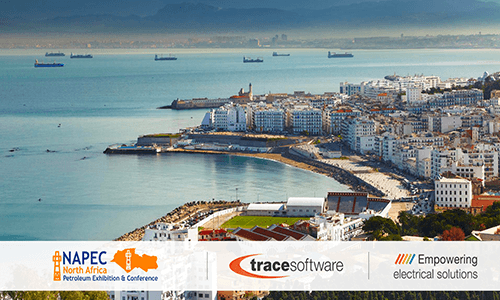 What is the current Spanish situation regarding the implementation of BIM in the Spanish AEC industry? What are the decisions of the Spanish government regarding the digital revolution in the construction industry? BIM is not yet mandatory in Spain. However, the Spanish construction industry has also been subject to EU Directive 2014/24/UE. Since 2014, according to this directive, the member states are invited to encourage the use of Building Information Modeling (BIM) in construction projects financed by EU public funds as of 2016. In 2015 the Ministerio de Fomento (Ministry of Development) created the “BIM Commission” with the main mission to establish a roadmap for the BIM methodology implementation in Spain. The BIM Committee is made up of five different tasks groups that focus on distinct themes: strategy, people, processes, technology, and international liaison. While the first group is primarily responsible for the planning and the stipulation of a specific action plan for the implementation of BIM, the second group focuses on the theme of the change of culture and the capacity of public and private staff in the new collaborative scenario. The third group, on the other hand, works on the standardization of processes and on the creation of protocols and standards necessary for the realization of projects that use BIM. The fourth group is dedicated to the technological aspect with the aim of guaranteeing the interoperability and use of the Open BIM. The last group pays attention to the international scenario to revisit the Spanish position compared to the other panoramas. 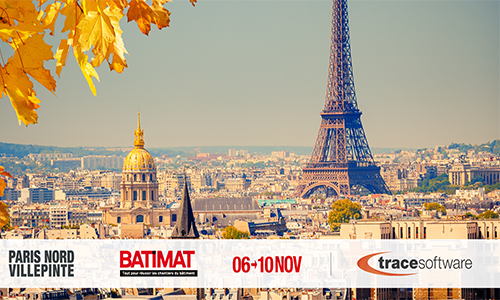 A strategic timetable for BIM implementation has been set. BIM use is supposed to be mandatory in public construction projects from December 2018 and in infrastructure projects by July 2019. However, we do not speak of real legislation, but rather of guidelines in the implementation path of the BIM methodology in Spain. In fact, the date for the actual approval of the BIM law and standards has been set at 11/06/2018. The importance of BIM in the construction sector is now consolidated in public opinion. BIM is becoming a global language for the infrastructure and construction sector, enabling greater collaboration and movement of capabilities across borders. BIM refers to a collaborative method of working which is based on the generation and exchange of data between various project parties on the same project. Architecture, engineering, and construction (AEC) industries have sought out for a long time to increase productivity and quality, while at the same time decrease costs and project delivery time, hence using BIM gives the best potential in reaching these goals. 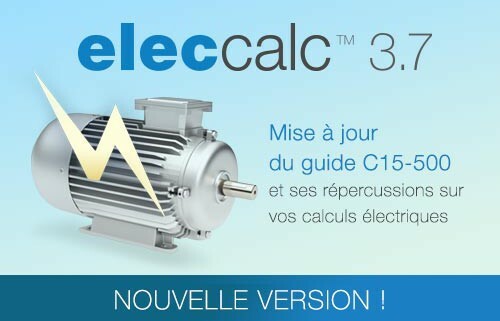 elec calc™ BIM stands out as the unique electrical design software solution responding to the BIM challenges. This is the world’s first calculating software that seamlessly integrates elec calc™- the electrical equipment used in sizing projects – with different design platforms and architectural 3D models, thanks to its unique IFC standard use approach. BIM simulates the construction project in a virtual environment. Just as elec calc™ BIM solution allows you to create a one-line diagram of electrical installation from the BIM model and defining the cable routing (calculating lengths, adding cables as objects). The key benefit of BIM is its accurate geometrical representation of the parts of a building, in an integrated data environment. Some great features of elec calc™ BIM include IFC Explorer, your electrical objects are recognized from IFC data and interactions between Explorer, 3D Viewer, and elec calc™ one-line diagram, identifying components in real time between your 3D Viewer and the one-line diagram. This version elec calc 3.7 includes the technical developments both according to the standards NF C 15-100 and RGIE/AREI which are based on modifications brought to the AFNOR C15-500 guide. This guide takes into account the European TR50-480 referential. This version also improves the management of high voltage networks, the display of short circuits currents as well as the management of curve models with the display of energy limitation curves. Management of minimum and maximum values ​​of the upstream short-circuit power (high voltage portion) to be considered in the calculation of the min and max short circuit currents. Display of min and max values of short-circuit and default currents. • On our website with a list of downloads by manufacturer (specifying your elec calc license number). • On the support portal, after creating your account and be selected as administrator of the elec calc license. A new Archelios Calc 7.0 release is now available for download from the support area of our website. It brings a major change for all users : archelios calc is now compliant with the IEC standard and integrates this standard for the sizing of all photovoltaic installation. Adapted to the international market, archelios calc is now available with a new interface in English. The version 7.0 includes the IEC standard. At the launch of a project the user can choose the IEC standard for its project, in addition to other standard currently available. To support this development on the international market, the Archelios calc interface is available in English. The user selects the interface language when opening the project. 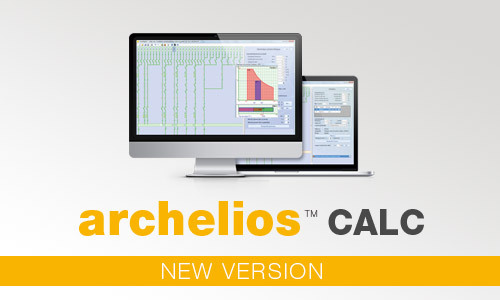 Archelios calc enables the generation of a full project report as requested for the control of the installation. 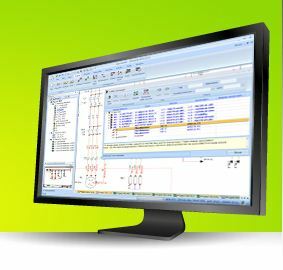 Archelios calc, previously named Solar Calc, works in conjunction with archelios pro, the other photovoltaic design tool for performing project simulations and analysis of production and investment. Trace Software reinforces its Archelios suite range and strives to provide better integration between the two solutions. An export function in Archelios pro enables the users to retrieve their projet so as to finalize the electrical sizing in Archelios calc. But this integration will continue. The target remains to facilitate the work of installers through complementary solutions for time-saving purposes and an economic optimization of the installation. 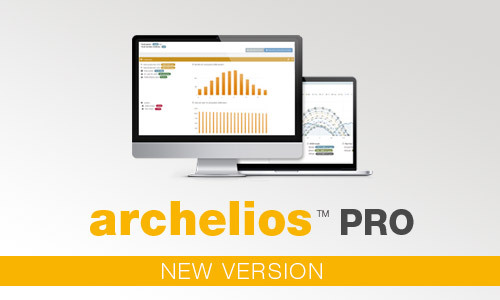 The new version of Archelios Pro is now available online, from 24th September 2015. This release presents many changes so as to achieve a more accurate and flexible sizing. This version Archelios pro 15.2 thus meets the expectations of users looking for full control of their projects’ designs. Through the plugin SketchUp, the user can adjust its simulation parameters to adjust very precisely the sizing of the modules or the inverters. A new “manual configuration” wizard embedded in the SketchUp plugin allows the user to choose directly a given configuration (the inverter reference, the number of inverters, the number of strings, the number of modules by string). This is particularly useful for modeling projects which have been configured externally, for instance on the sizing tools provided by inverters’ manufacturers. A new tool of the SketchUp plugin displays information on the calculated solar potential (irradiation) for each module in kWh per m2 per year. The sizing visual wizards now displays numeric values. These more specific information aim at helping the users in their design process. The new apparent indicators of validity are as follows: the open circuit voltage, the voltage at the maximum power point, the short circuit current and the Inverter Rated Power over Array Peak Power (uoc, umpp, isc, Pinv/Peak ratio). Log in to archelios pro 15.2 ! • Improved management of 1 pole breaking capacity in IT. • Optimization of external LV power supply management. • Taking into account single-phase alternators. • Development of protection capabilities with regards to inverters. • Improved management of equipotential wire when the circuit has multiple cables. This version is available for all our customers with a subscription for download on our website with your license number (click here for direct access). • A selectivity by curves module for a dynamic multi-manufacturer study. • A discrimination module for an economical breakers choice. • An export module to Excel for an easy use of your data. • An export module to elecworks™ / SolidWorks Electrical to automatically multi-line diagrams and to integrate the control part of your projects. The checkbox BE3: the explosion hazard becomes accessible regardless of the selected installation method. To request for a quote for an upgrade or for a subscription, write to us at commercial@trace-software.com. 11/04/2013 – elecworks™ 2013 R2 brings many improvements to speed up the design process. There are new filters to accelerate search and new entities or symbols to adapt to specific in-house processes. The design is accelerated by the introduction of a copy – paste special command, to paste in the same project or in another one, all that is present inside the selection box. A dialog box proposes to define the action to be taken for each type of object in this context (to create or not a new location mark, to delete or not the wire numbers, etc.). This copy-paste special command can be applied to a folio or an entire project. The user can of course check technical features to change them at any time. With this feature, you can copy an entire panel layout in a few clicks! Another unique time saving tool to use for an optimized design is a new command in the terminal strip management that allows you to sort the terminals then to renumber the selected terminals according to 3 criteria of your choice (positioning, tracking or connection). A search function of a component in the component tree on the left allows you to quickly find what you are looking for. In the Project Manager, the introduction of search criteria, for example part of the project name to reduce the list of projects displayed and quickly find that we are looking for. A “find and replace” command in the translation of texts helps you quickly find a text and possibly replace it wherever you want. With the introduction of new entities or symbols and a greater flexibility in project documents, import-export, internal company standards can be easily respected. For example, the new object “mask” removes certain schematic entities without cutting lines to obtain an aerospace-type drawing. A mask can be inserted together with the 2D panel thumbnail, to hide the rail, and still count the rail in your BOM. elecworks™ 2013 R2 version also introduces a new type of symbol called “passive symbol”. Without electrical characteristics, such as a ground symbol, it is stored in the library to be inserted in a drawing. Management of project documents and import-export also changes with this new version. Generated files (BOM, text and excel export) can be added to the project as data files by the “add file created project” that allows you to select the directory in which the user wants to save. Export in PDF format changes: the project tree is stored as bookmarks. When importing DWG file, it is now possible to add to the library the templates and symbols that are not yet present. The introduction of an educational version with a specific offer, exclusively for the world of education. Elecworks interface is now available in Japanese (the 11th language available). The release of a version elecworks Onboard for the design of embedded systems in the aerospace, automotive, rail and naval sectors : introduction of wire labels and equipotential labels, data can assigned on lines, option on contours location to meet the need for labels, etc.